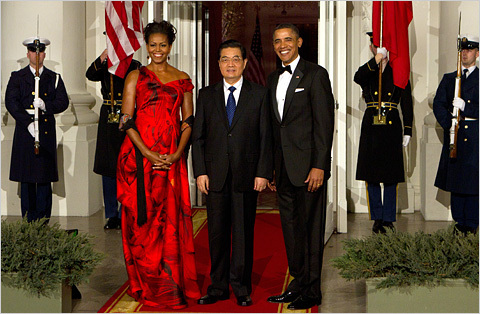 The state dinner for China's President Hu Jintao may have received a luke-warm reception, but Michelle Obama looked absolutely fabulous. The beautiful red gown was created by Sarah Burton of the London house Alexander McQueen. I think Michelle knocked this look out of the park. She is a beautiful woman!